Like many single parents in their thirties, Zoe is overworked, overburdened, and low on company, and when the zombie apocalypse begins, she is forced to face the monster that has taken her over, the horrors he shows her, and her own murky past. How does it feel to gain consciousness, only to find you have lost everything else. How would it feel to have a destructive force take you over completely and be powerless to stop the massacre that follows? And how would it feel to finally face your past and realise that perhaps, the monster has been with you all along? Find out in The End, an examination of the inhuman condition. This was an interesting take on a zombie apocalypse. Listening to the book from the main character's point of view, before and after turning. Her thoughts and feelings throughout, her memories. Its a great listen. I was provided an audiobook at no charge by the author, narrator and/or publisher in exchange for an honest and unbiased review via audiobook blast dot com. I would recommend this to a friend if they liked this type of book. They have to be ready for some gore. But able to appreciate the slow, literary pace. What other book might you compare The End to and why? I would kind of compare it to Cormac McCarthy's The Road - not in length of depth, but in the subject of the doomed travel in a ruined world. Not talk quite. so. slowly. When I realized where the MC had been headed all along. This is an odd combination of gruesome detail and literary writing. I have always wanted to read a book from the zombie's point of view, and I was really able to paint the MC's thoughts onto any one of the walkers in The Walking Dead. It will make me look at the show differently, I think. The ending was amazing. This is not for people who want fast, action-packed zombie stories. But it is thoughtful and did I mention the ending is amazing? And a little terrifying. This was a really good story and a much different take on the zombie apocalypse. This story is in a female by the name of Zoe's POV. I liked that author Adam M. Booth gives the story to us in a zombies POV and a female zombie at that. The author didn't disappoint me. The story was frightening, horrific, and listening to everything this zombie thinks throughout the story is fulfilling. The story is dark and yet beautiful. This author has very much surprised me with his version of a zombie apocalypse. His telling of a human, having changed into a being with two consciousness that work together as both the woman she was and the monster she's turned into. What a beautiful and vivid imagination. I do think the ending needed more building or a different ending altogether. Narrator Shiromi Arserio did a fabulous job telling this story. I felt this zombie Zoe's emotions as Shiromi told this story. The narrator brought this story to life in such a way that I was glued to my dear from start to finish. A great story on a zombie apocalypse and a perfect performance as well. Overall, a perfect 5 🌟 rating. 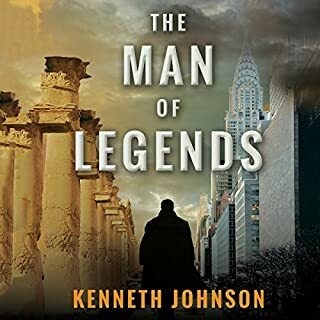 I received this audio free from the author/narrator in exchange for an honest and unbiased review through Audiobook Blast. Hey tired of old boring Zombie books? 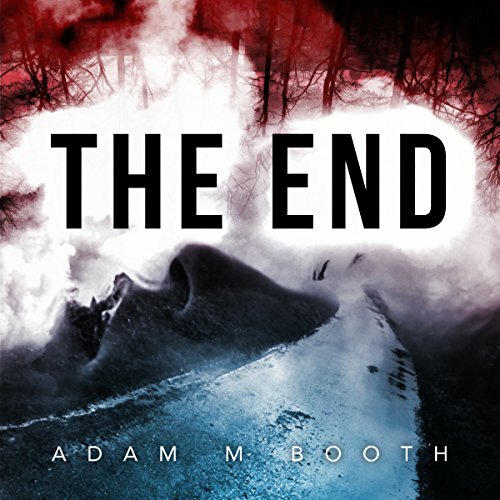 The End by Adam M. Booth is a fantastic book about Zombie's FROM a Zombies view point! It is some of the freshest Zombie book i heard in a wile. There is just one thing wrong with this: It is 1 hr and 51 mins! Almost 2 hours is to short!I don't mind short stories, i really don, but this is just a bit to short! I know that we will hear from Adam M. Booth! Shiromi Arserio is good! I am going to be honest and say it was a close call to give her a lower rating. In the beginning i thought her voice a bit staccato, slow and weird. So i would give her a low 3,5 but since i can't i have to round it up to a 4. I feel in the beginning she is worse then she gets during the book, but hey it is good enough! I like dark stories, but this one takes dark to a whole new level. (In fact, I would caution folks that struggle with depression to maybe skip this book if they aren't doing well.) With that being said I also see the beauty in the raw pain that Zoe feels, both as a human and as a zombie. The introspection Zoe goes through while on her quest to get to Lucy is profound. She comes to the conclusion that even though she has just recently become a hideous, brain eating monster, that maybe her outsides just match her insides now and that she has been a monster deep down all along. While on her trek she witnesses a family dumping a live human off at a rest stop. But all she is able to think and feel is her insatiable hunger for brains and flesh. The guy, who happens to be in an electric wheelchair, sees her and flees down the road away from the rest stop. Zoe goes after him even though she can't see him because he gets so far down the road. She just walks and walks (shuffles is probably a more accurate word) until she sees him again but this time he's just sitting in the middle of the road where his chair has died. He sees her coming and resigns himself to his fate - that she is going to kill and eat him. While he sits and waits for her, he talks to her and bares his soul to her as if she were (still?) alive or maybe he does it because she's a zombie and unable to process his confessions. He tells her how he became paralyzed and needing the chair at the age of 10 (he was hit by a car). He told her why his parents had kicked him out of the family vehicle and just left him there, helpless and stranded (they didn't like him enough to be responsible for him during the end of the world), and he tells her that he that he should have looked up more and enjoyed the beauty while he had the chance. All the while he's telling her these intimate things she just keeps coming after him, relentlessly, uncontrollably, and driven by a need that is so primal you almost feel sorry for the zombie formerly known as Zoe. At first I was somewhat disappointed that the storyline was so dark and depressing, but after a short time I started really get into Zoe's narrative and her memories of Lucy, life before Lucy's illness and Zoe's ill-fated attempt to relieve her daughter’s pain. I didn't have an extreme reaction to any one thing I had an extreme reaction to the story as a whole. It's easy to feel sorry for the people who are killed by the zombies, but to feel sorry for mindless zombie killing machines, well that's a whole different matter. But somehow Booth is able to, humanize Zoe enough for us readers to pity her for being stuck in a never ending loop of all her mistakes as well as all the things she'll never get to do. The narration by Shiromi Arserio and her British accent was, at least at first, somewhat annoying. Her voice is kind of pitchy and dry, but once you get into the story her voice matches Zoe's outlook and resignation about her life. If they liked the genre...yes! Have you listened to any of Shiromi Arserio’s other performances before? How does this one compare? No, but I would she is good! Short story about Zoe, she is going to pick up her daughter a the train station when Zombie apocalypse breaks out, and she get attacked....she then goes on her zombie journey in search of her daughter and ends up eating her! great short story!! Finally- an intelligent AND eloquent zombie story! 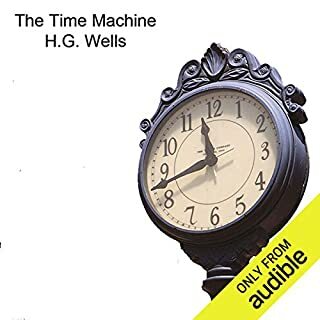 Lets get this out of the way first: I was provided this audiobook at no charge by the author in exchange for an unbiased review via AudiobookBlast dot com. Now that that has been said, on to my review! I was very (very) pleasantly surprised by this book. When I first read the description, my reaction was 'Okay. Yet ANOTHER zombie story.' and prepared myself for a decent but not incredible listen. The depth of character from both before our protagonist transitions into a zombie is absolutely amazing. (At that point having changed in to a being with two consciousnesses simultaneously existing as both the woman she was and the monster she has become.) The book is written so beautifully as to be almost poetic and the narration is so emotional that I don't think I could give the narrator justice in mere words. I will be looking forward to any future works by this author as well as the narrator. This book has all the makings of a classic. Think along the lines of Thomas Hardy, Mary Shelley and Emily Bronte. The End by Adam M. Booth. Performed/narrated by Shiromi Areserio. 1 hour and 51 minutes long, Contemporary, Sci-fi, fantasy. 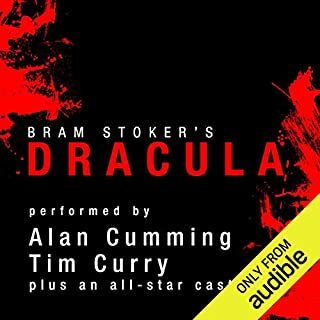 Unabridged Audio. 18+ years. Some scenes are graphic in the description of the zombies eating humans. So if this is not your type of book then I would not recommend it to the faint of heart. This book is an account of one woman’s memory of being part of a zombie apocalypse from the zombie’s perspective. I thought this was quite a unique twist on a zombie’s thoughts especially when I thought zombies were just mindless, hunger driven for the brains and flesh of their victims. But, on contra my listeners. Zoe is a single mom looking to see that her daughter is at good school. Overworked, underpaid as a single parent Zoe is heading to the train station to meet up with one of the many guys she is dating. A weekend to unwind the grind. Well, Zoe found herself right into the start of the Zombie Apocalypse at the train station. Seeing someone coming at her and not knowing at the time until he comes face to face with her. She realizes that this is not human anymore with the deep sunken eyes and flesh hanging off his face. As he grabs her and starts to gnaw on her. Screaming as he clings to her and feeling herself floating in and out of conscientious. Then, waking up wondering what had just happened in a slumped pile and then the desirable thirst for human flesh and brains comes to her. Next Zoe could only think of one thing and that was getting to her daughter. As she goes through the countryside getting to her Zoe tells her side of her experience of attacking those to so she could survive. When she actually shows that she has feelings of quilt yet no regrets to what she has to do to survive. Will Zoe make it in time to see her daughter? What challenges does she come across getting there? Will her daughter know that this is her mother? All great questions that Zoe will recall throughout this short novella. How she will be recalling this tale some century later. Adam M. Booth really put a lot of thought into condensing this story in such a way that it is a stand-alone book. Shiromi Areserio is a fantastic narrator/performer. I have listen to other books that she has performed with her beautiful British/Australian accent. She speaks in such a way that you can feel that this is a thought being spoken by Zoe and when people are actually speaking – okay screaming outloud. Great job. All thoughts are solely mine and no way influenced by others. Please like and leave comments below good or bad love to hear them. 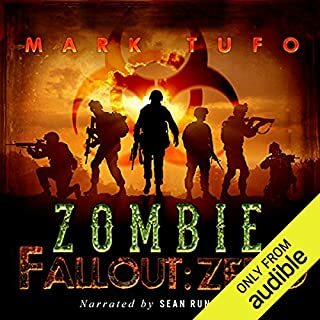 This story was interesting and unique as a zombie tale. It's about how one woman faces the zombie apocalypse. She becomes a zombie and tells the story from the zombie perspective. I enjoyed that as it's really different. Most people write from the non zombie perspective. It's gory in places, not overly suspenseful but unique. How does a zombie think or do they? Adam M. Booth's imagination is deep and the picture he paints is very probable. I just couldn't get into this book. I tried but I was not able to listen to the story. I did finish it but I just wanted it to end. The writer is a beautiful word smith but I hope he writes a little bit more upbeat story in the future. 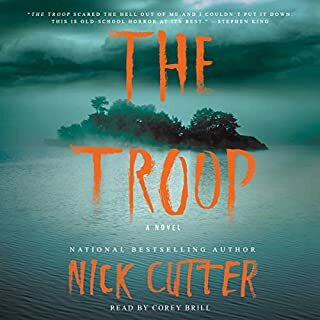 I've thoroughly enjoyed the way the story was told, from a zombie's perspective portraying the agonizing moments that Zoe, the protagonist had to go through. 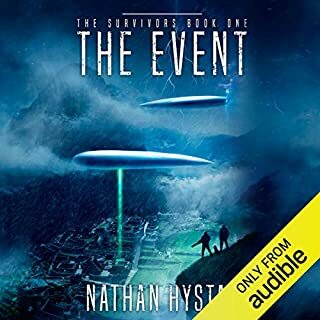 The narration was very descriptive and from the first page I felt like I was part of the story, like I was next to Zoe talking every step with her. The scene that I've liked the most and I've found most moving and disturbing was Zoe's transformation from a human being into a zombie and the the impact it had on her. Yes! It was highly captivating and you don't want to stop until you get to The End!